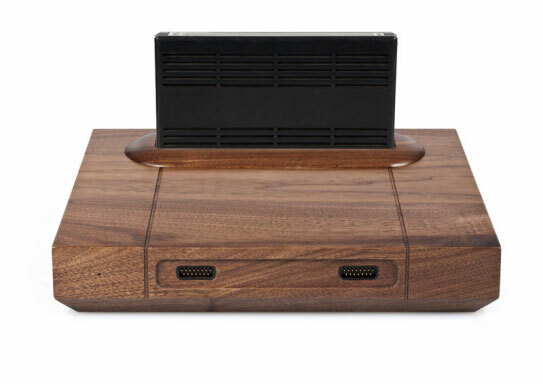 If your interest was piqued by Analogue Interactive's walnut shelled Neo Geo MVS arcade system, you may want to take a peek at the outfit's refreshed CMVS slim console. Keeping with the MVS' hand-crafted theme, the CMVS Slim encases the rig in 100 percent ebonized ash. Or, if you preferred the walnut facade, you can still grab the console in that shade as well (pictured after the break). Unlike the model we saw earlier this year, this kit condenses all of the outputs to a single DIN jack -- offering S-video and composite connections via an included cable. Should you be so inclined, you can opt for a cable upgrade to make use of component or SCART connectivity for "the ultimate retro videophile experience." These classy consoles still bear the same $649 price tag as their plastic predecessor. Want a matching arcade stick? Toss in another two Benjamins. If you're ready to pull the trigger and pre-order, hit the source link below, and yours will ship in 5-7 weeks.